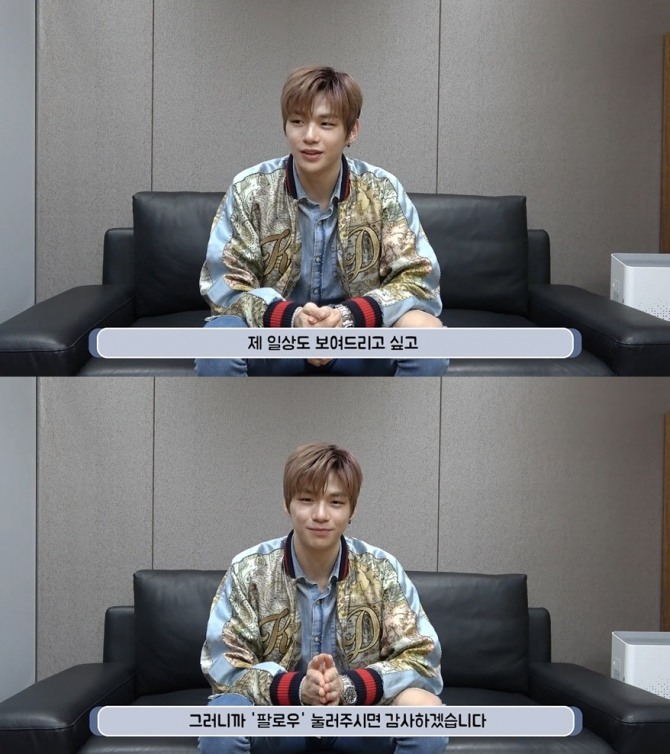 K-pop star Kang Daniel created a V Live channel on Friday morning, vowing to communicate frequently with fans on the livestreaming platform. “At last, I have created my V Live channel!” said the 22-year-old former member of Wanna One. “I want to share with you a lot of videos, like from various places I get to travel to, and share my daily life like me practicing,” he said in the 28-second clip. Kang made global headlines in January when he created an Instagram account, as he broke Pope Francis’ record and became the fastest person to reach 1 million followers. The Korean singer is pursuing a solo career under LM Entertainment, after Wanna One, a project group consisting of the 11 finalists of TV show “Produce 101,” disbanded following a final concert on Jan. 27. Watch Kang’s solo debut on V Live at https://www.vlive.tv/video/111504. Ha Sung-woon, also a member of now-defunct Wanna One, livestreamed as a solo artist for the first time Thursday. “This is my first time doing V under the name of Ha Sung-woon,” he said. 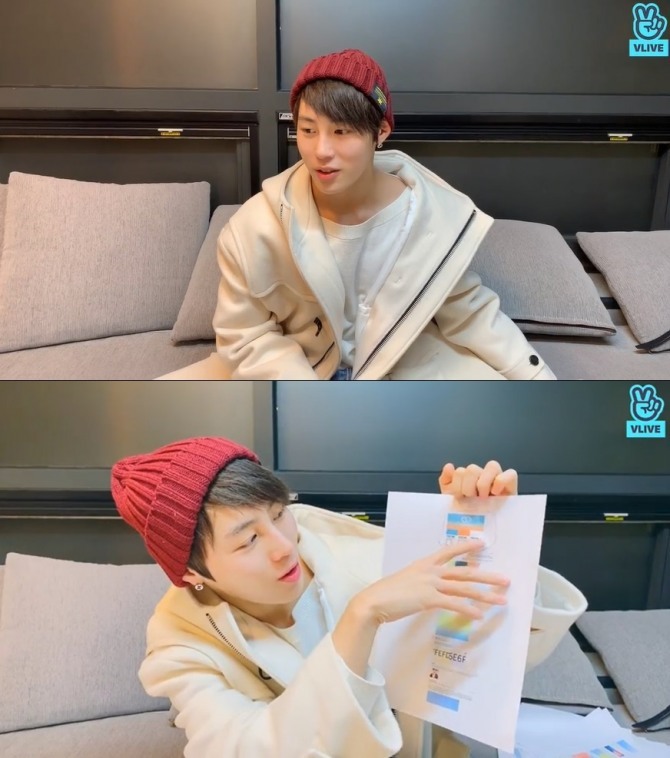 The purpose of the broadcast, he said, was to choose the name and official colors of his fan club out of over 2,700 entries for the name and over 500 for the official colors. “I have shortlisted name suggestions to 17,” Ha said. After running through quite a lot of color suggestions, he chose seven finalists. “I can’t decide. There are so many nice ones,” he said. He then asked fans to vote on the finalists, plus some of his own suggestions, via the online fan cafe. At the end of the broadcast, Ha revealed that he was at a recording studio but did not say what he was working on. “I am doing something very interesting. I want to tell you what it is, but can’t,” he said. Watch Ha’s video at https://www.vlive.tv/video/111505. 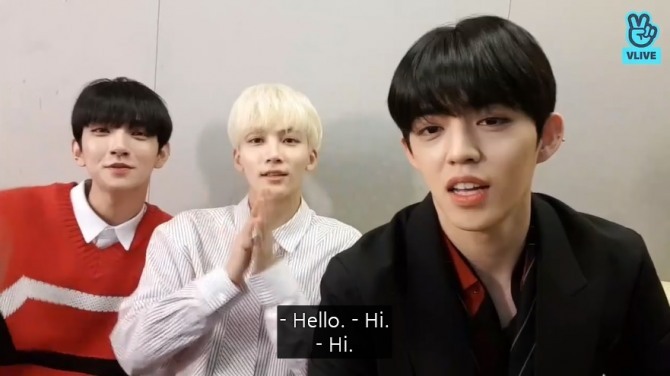 Seventeen’s S.Coups, Jeonghan, and Joshua took to the V app ahead of a live TV hosting stint for Mnet’s “M Countdown” on Thursday. “Right now I think I will not get nervous onstage. But I know once onstage, my heart will beat faster,” Jeonghan said. “That’s part of the fun,” he added. Joshua said it had been awhile since he last took on such a role. “I don’t remember. Probably like two years ago?” he said. The trio then introduced the day’s lineup, which included Seventeen, Astro, GFriend and Ateez. “See you soon at 6 p.m.!” the trio said at the end of the livestream. Watch the trio’s broadcast at https://www.vlive.tv/video/111327.